In our hectic lives, there is a place to find rest. Psalms 62:1 reminds us that soul rest came be found in God alone. True salvation is not found in the hands of others but God. Weary from attempting to work out your situation? 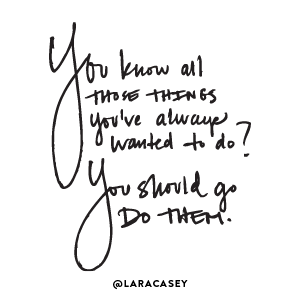 Feel as if you need to make some things happen? Perhaps what the situation really calls for is rest. Hope your week is off to a great start Ella. This is something that has been on my mind of late. A timely message for me. May you find rest in Him Arlee. It’s a message I needed this week as well. Yes, Wanda. Absolutely. I just got through studying the Israelites journey to freedom, and I find that most of their troubles were rooted in RESTLESSNESS. Let us rest in You, Lord. Increase our faith; strengthen us. LaVonne recently posted..How Can You Hate Me Now? Restlessness gets us in all sorts of trouble. I have been enjoying reading your thoughts about the Israelite journey. A beautiful reminder! Thank you! Barbie recently posted..Three Word Wednesday: Full steam ahead! One I needed this week Barbie. Blessings to you. Beautiful, beautiful reminder. And the picture is just lovely. Jenifer recently posted..Are You Ready? “I’ll wait as long as He says” – I like that translation! Beautiful photo and beautiful encouragement, Wanda!!! Wishing you much rest this week! Thank you Maryleigh! Hope the rest of your week is a peaceful one as well. I love how The Message delivers the Word with such simplicity and forthrightness. Let’s all choose to rest from our labors, Wanda! Yes the Message has a way of communicating in vivid and concise language. I love comparing translations because I often get a fresh perspective. This is beautiful! I believe I’m stopping by for the first time from Tracy’s. Happy to find my way here. I’d love for you to consider linking up in the future with my Three Word Wednesday Link Up! What a pleasure to meet you Beth. And thanks for the invitation to link up with you in the future. It’s always nice to meet other bloggers. Hi Wanda! Thanks for stopping by to see me today! What a lovely thing to give permission to rest! We all almost need that reminder daily. Rushing from here to there…you just grind yourself down. So sad. Better to be rested and ready to face the day anew! Happy weekend to you as well Ceil! Psalm 62 is one of the most meditated on for me this year! This is a perfect post for today as I prepare for next week and Homeschooling my almost 13 year old girl for the first full year since Kindergarten! Anyway…thanks Wanda! Hi Dawn, I pray your week and year of homeschooling goes well. I’m always awed when I read about parents homeschooling their children. What a great way to pour into your children. Beautiful post, Wanda. Such a great reminder. Thanks Mel, hope you are finding moments of rest on this Labor Day weekend! So true my friend! A beautiful picture, might I add! 😉 Matthew 11:28…”Come unto me, all ye that labour and are heavy laden, and I will give you rest.” He is MORE than enough! Thanks so much for sharing Wanda and thanks for linking up…have a wonderful week! Michell, that’s one of the scriptures I was reading last night as I was researching what the Bible had to say about labor. God truly thought of everything we He created us.